Sean Rafferty presents live music from violinist Fenella Humphreys with pianist Nicola Eimer, and pianist Jayson Gillham. Plus director and bassoonist Peter Whelan chats to Sean. Violinist Fenella Humphreys and pianist Nicola Eimer play live in the studio ahead of their recital at Eaton Square Concerts this Thursday, where they will perform works from their latest disc ‘So Many Stars’. Bassoonist and conductor Peter Whelan drops by to discuss his latest project with the Irish Baroque Orchestra. 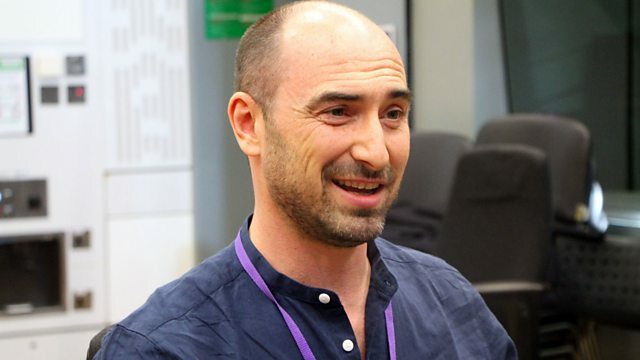 There's also live music from Australian pianist Jayson Gillham who is celebrating 'The Joy of Piano' as part of the Barbican's Sound Unbound Festival in May. Handel - Messiah, The Sixteen/Christophers. Performer: Fenella Humphreys. Performer: Nicola Eimer. Performer: Sergei Girshenko. Performer: Vladimir Ferapontov. Performer: Boris Shlepakov. Conductor: Alexander Lazarev. Orchestra: Bol'shoi Simfonicheskiy Orkestr. Khachaturian: Spartacus/Gayaneh/Masquerade: Bolshoi Symphony Orch/Lazarev. Performer: Phillippe Grisvard. Orchestra: Irish Baroque Orchestra. Conductor: Peter Whelan. Orchestra: Irish Baroque Orchestra. Choir: Irish Baroque Chorus. Conductor: Peter Whelan. British Light Music Classics 2: New London Orchestra/Corp. Singer: Christopher Maltman. Ensemble: Academy of Ancient Music. Director: Richard Egarr. Performer: Manuela Wiesler. Performer: Noriko Ogawa. Singer: Janet Baker. Choir: Hallé Choir. Choir: Sheffield Philharmonic Chorus. Choir: Ambrosian Singers. Orchestra: Hallé. Conductor: John Barbirolli. The Very Best of Janet Baker.